Unfortunately, it’s unlikely to happen by magic but we can certainly help with someone doing it for you. Well, not exactly; not the physical act of packing everything for you, but by providing this useful guide to the crucial things you need to remember before you head off. We’ll leave the more basic stuff like clothes completely up to you. 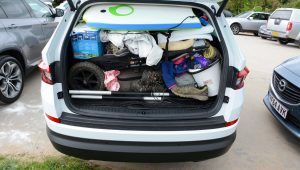 We’re definitely not helping you choose between which shirt to pack or whether you need a third pair of boots, but, sticking strictly to the important items you’ll need for a car journey, here are 28 things you must remember. When you’re driving abroad, don’t forget the important paperwork – that’s right, we’ve called it important for a reason. There are certain documents you must have with you. Your full driving licence is an obvious one but you might also need an International Driving Permit – often known as an IDP – if you’re driving in some countries; especially if you’re going to be doing so outside Europe. Because you’re travelling abroad, you’ll also need your passport – standard – and travel insurance. It’s a good idea to have the details of your car insurance, too, if you need to refer to your policy at any stage (hopefully not). You should have any contact details for your European breakdown cover provider. Yes, even if you have breakdown cover in the UK, you’ll have to take out a separate policy to cover you in Europe. This doesn’t need to be an annual policy; the RAC offer single trip cover. You need to pack for your car, too. It should be well equipped to cater for any number of situations that might arise when you’re out and about on the road. Some of them are actually compulsory when you’re driving in particular countries. For example, in France you are required to carry two warning triangles in the car, in case of a breakdown. You should also display a GB sticker on your car, and carry reflective jackets – enough for not just you but any passengers, too, in case you need to get out of the car while awaiting breakdown support. There are other items of motoring practicalities, too. A first aid kit, torch, fuel can, spare engine oil and coolant can all prove very useful, too. Finally, if your car doesn’t have Sat Nav already fitted, it’s probably well worth getting one put in – even if you borrow a system from a friend just for the journey. Travel guides – yes, you can look online but you might not get a Wifi signal or want to use up lots of mobile data, and it’s nice to have something to look through. 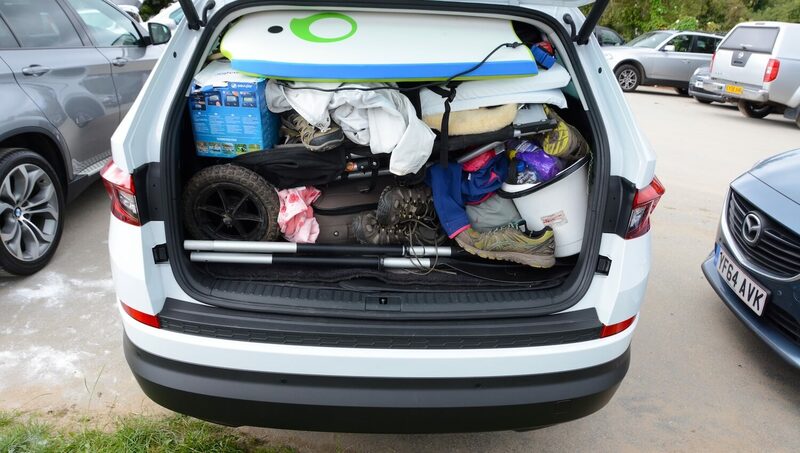 There you go – follow this checklist of essential items and you’ll be covered for just about every eventuality when you’re embarking on your road trip.